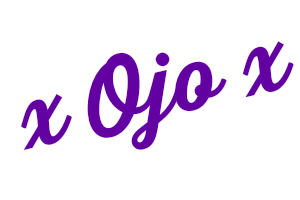 Ojo's World: Am I different? I dropped out of social media a bit, when I had some 'issues'. This included not linking up with some of my favourite prompts. I hate that I did that, but I must not dwell on that, I must look at positives! If you don't blog, please don't think you can't join in, Kate has done this for all Striking Mums and has a facebook page, so you can. So here I am, answering the lovely Kate's questions this week. 1. Are you different, and if so, how? Yes, I am. I am talkative, my husband reckons I can get a persons life story within 2 minutes of meeting them! Yet I shut myself away, with no one to talk to?! I find it incredibly difficult to make new 'real' friends. People with the same interests as me. I don't because I don't believe people genuinely like me, I think they are just being polite. I try to fit in, but encourage others to be individual. Really not sure why this is, but it's a question that has made me think! 3. Are you ever judgemental of other mothers, who are different from you? But only the ones that claim to be perfect, when you know that no one is..........or are they? I never do it out loud though, I would never talk about another mothers capabilities. How we parent our children is our own business, as long as a child isn't being harmed. Other ways: where do I start??? I want to be more confident in my abilities. I want to see myself as others say I am. I want to change so much. But then, I have a great marriage, to a man that loves me as I am. So maybe I want to stay the same. 5. Have you ever been attacked or bullied for being different? How did that affect you? I had the usual name calling, growing up, because of my size. It was never bullying though, it was never too bad, and it stopped as I grew up. I was bullied as an adult, in a job I did. That was jealousy though. It all affected me, I still see the fat person in the mirror, never a beautiful woman. The reason I take selfies is because I hate pictures that others take of me. 6. If you had to write an advert for yourself as limited edition, what would you say to make people think you're great? I cook a mean roast dinner and I love cuddles! So that's me. Wow, that was tough this week. Am I a striking mum? I don't know, but I love this link, because so many join in that are not perfect, just trying our best. Great answers & I like the wording of your advert!